What is a Beclomethasone Inhaler? A beclomethasone inhaler delivers medication to a patient's airways. A beclomethasone inhaler is a device used to deliver the medication beclomethasone to a patient's airways. This medication is a steroid drug that comes in an aerosol form. A patient may use it to prevent an asthma attack, however, it will not treat an ongoing asthma attack. People must instead use a fast-acting inhaler medicine, or a bronchodilator, as prescribed by their doctors. Beclomethasone inhalers work to reduce swelling of the airways. This is not a cure for asthma, but rather it is a symptom management plan. It helps prevent symptoms of asthma, such as shortness of breath and wheezing. It must be inhaled at regular intervals throughout the day for best results. The doctor will likely prescribe three to four dosages daily. Patients should see an improvement in symptoms in about two weeks after beginning to use a beclomethasone inhaler. Those who still experience uncontrolled symptoms should contact the prescribing physician for further treatment. It is strongly recommended that patients carry a medical identification card or bracelet with the name of this medication, in case of emergencies. Before using the beclomethasone inhaler, the patient should shake the device briefly, and then take off the protective cap. He should exhale as much as possible through the nose only, while keeping his mouth shut. The patient may then place the mouthpiece as far into his mouth as possible, sealing his lips around it. As he inhales slowly and deeply through the mouthpiece, the patient must press the container to release the steroid drug. After holding his breath for five to 10 seconds, he may remove the inhaler and exhale slowly. In some cases, the doctor may advise the patient to take two puffs at a time. To do this, the patient must wait two minutes before shaking the inhaler and repeating the procedure. It is strongly recommended that the patient rinse his mouth with mouthwash or water following each dosage. The beclomethasone inhaler may cause some side effects, such as a cough and a dry or irritated throat and mouth. Some patients may notice painful or difficult speech. Should these symptoms persist or become bothersome, the patient should contact his physician. More severe side effects from the use of a beclomethasone inhaler require the doctor's immediate care. These can include swelling of the face or legs, skin rash, and problems breathing. White sores in the mouth, vision problems, and muscle weakness may occur. Patients should be alert to the possibility of an infection or cold that lasts an abnormally long time. 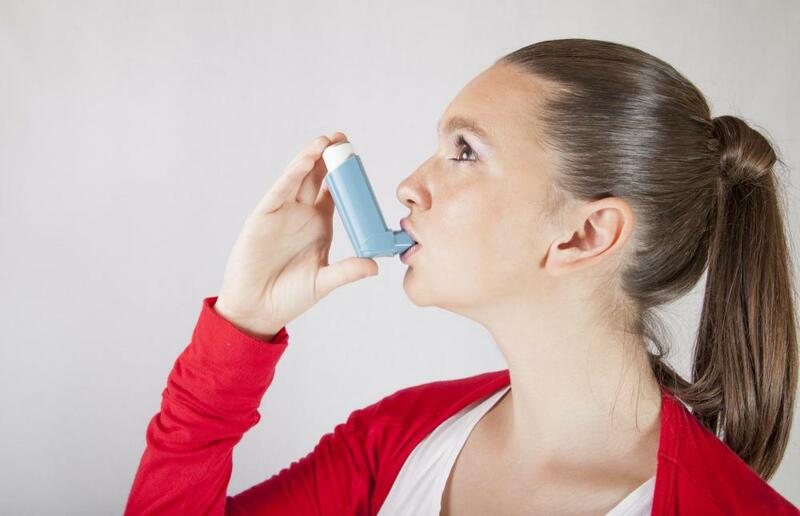 What Is a Bronchodilator Inhaler? What Are the Most Common Beclomethasone Side Effects? How Do I Choose the Best Anti-Fungal Mouthwash? What Is an Asthma Steroid Inhaler? How do I Choose the Best over-The-Counter Inhaler? What is an Aerosol Inhaler?